Clemenger BBDO Melbourne has been voted the fourth best creative agency in the world by US industry site www.bestadsontv.com. 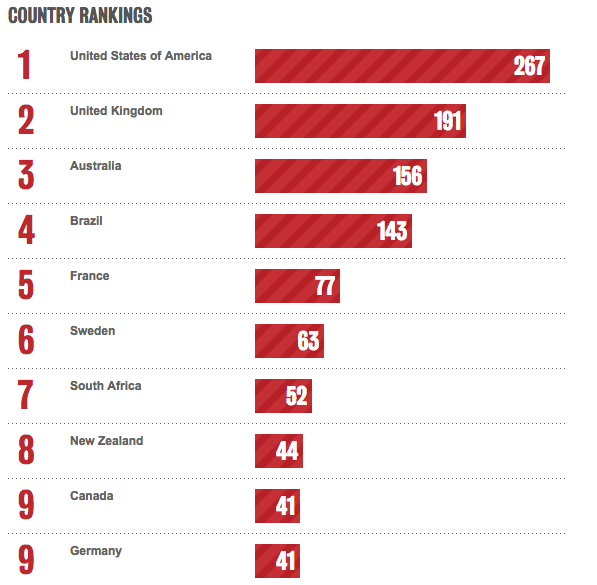 While Australia came in an impressive third position for countries with the best creative agencies. The site says its rankings work thus: Every TV ad that makes it into the week’s best scores two points for all those involved in the ad: agency; production company; client; creatives and country. Every print outdoor, radio and interactive scores one point. According to the findings, the best agencies in Australia for 2016 were – Clemenger BBDO, Melbourne (1st), J Walter Thompson, Sydney (2nd), BMF and Grey (equal 3rd); while kwp! Adelaide, Marcel and The Monkeys all tied for fifth spot.